In this report, Grantmakers Without Borders explores key questions related to the aims and goals of microfinance programs as well as the history and evolution of microfinance, prevailing arguments from advocates and critics about the industry, and philosophical differences on models of delivery and measurements for success. We share recent research findings on the impacts of microfinance on poverty alleviation and offer cautionary tales regarding the full-scale adaptation of microfinance. 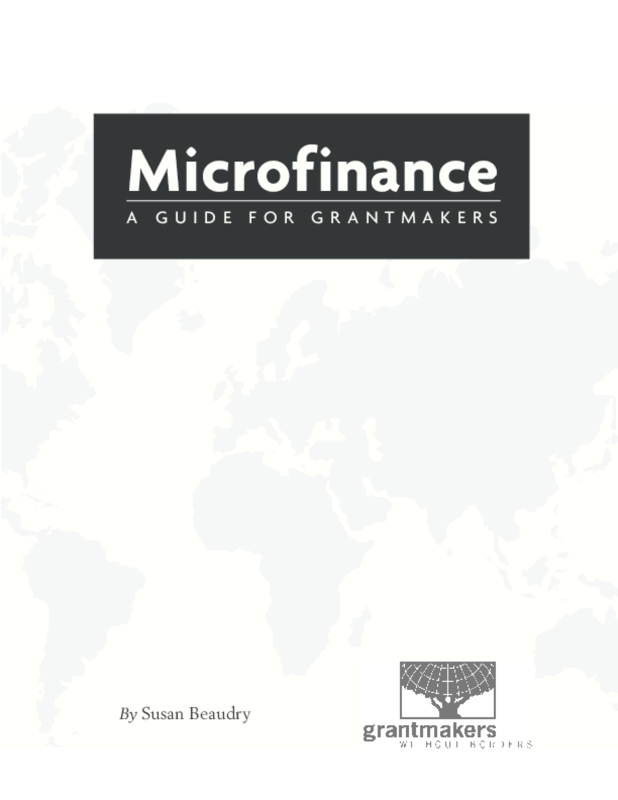 Finally, we offer recommendations for grantmakers to consider as they determine the role of microfinance within their own grantmaking. Copyright 2009 Grantmakers Without Borders.